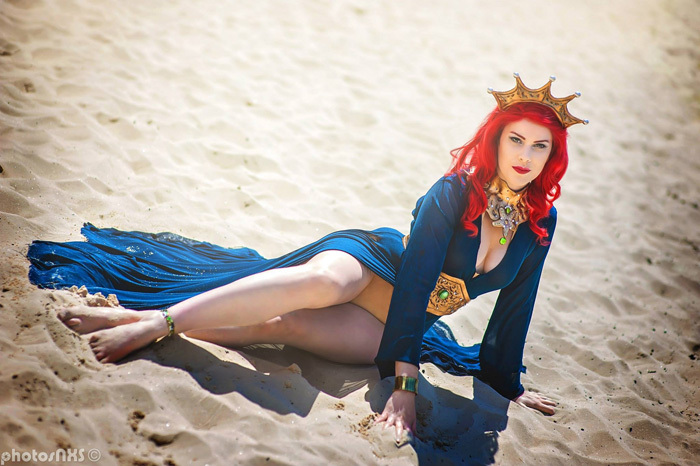 "I�ve always wanted to make a Mera costume, but decided to not go with a canon design. So water-park Queen Mera was born! I decided to whip together a costume 1 week before Colossal Con, in some uncharacteristic power crafting. I might still ad some rhinestones to this dress for some extra sparkle 。.:*・�☆."